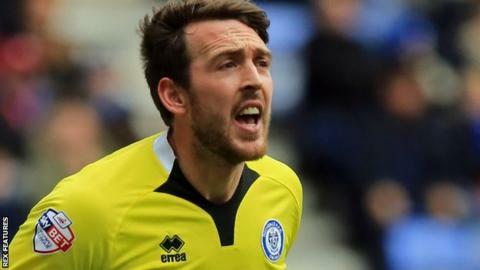 Rochdale goalkeeper Josh Lillis has signed a new two-year deal, while full-back Tom Kennedy has had his contract cancelled by mutual consent. Lillis, 28, moved to Dale permanently in 2012 after two loan spells at Spotland and has made 193 appearances. "It didn't take me long at all to re-sign. I wanted to get it sorted early," Lillis told the club website. Defender Kennedy, 30, returned for a third spell at the club in 2014 and did have a year left on his contract. Rochdale released eight out of contract players earlier in the month.